Does it seem like time is slipping through your fingers? 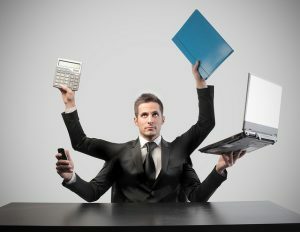 Do you often feel like you have enough time for all of your responsibilities? You may be missing out on some of they key rules of organization and productivity. It’s easy for things to get away from you in such a fast paced technologically based world. There are so many things to accomplish and the world runs on small tasks making it easy to fall off your schedule by accident. So learn about the tips, tricks and little ways to make the best use of your time. Take Your To Do List and Cut It In Half – If you’re someone who makes lists of things that you need to accomplish, you may want to break that list down further. Long lists can be overwhelming and often inspire quitting more than they motivate work. Break your tasks down into small lists and accomplishing those will be more practical. Take A Break – If you want the be your most productive and complete the most amount of work then you’ll have to plan time to rejuvenate yourself as well. Often, people don’t plan time to relax along with their work requirements. Set timelines with breaks built in so that you know you can get through all your tasks without burning out. It has been said that the secret to being happy is having something to look forward to, so build those breaks into your regular working routine and you’ll be surprised how much you start accomplishing. Get Started Early – If you’re going to plan some time to relax, it is best that you plan it after you’ve completed a few tasks already. People have the most energy in the mornings and you’ll want to focus that energy into one of your heavier tasks. Don’t start your day on a break, or you’ll surely regret it. Smart organization can go a long way in allowing you to become your most productive self. Make these tips an integral part of your routine and you’ll be finishing tasks at a regular pace.